At a meeting of the CDC last month, nonpartisan staff notified the committee that the Certificates of Participation (COPs) that will launch hundreds of millions of dollars in funding for capital construction and transportation would not to be issued at the start of the fiscal year as originally planned, but would instead be delayed. The Treasurer and his office have offered conflicting statements about the reason for the delays and what role the TABOR lawsuit played in the decision not to proceed with the funding as soon as possible. At today’s hearing, members of the committee questioned the Deputy Treasurer about why the Treasurer was delaying these important health, safety and infrastructure projects and the costs that the delays would entail. They also asked about the lack of communication with the legislature and the inconsistent information from the Treasurer’s office. 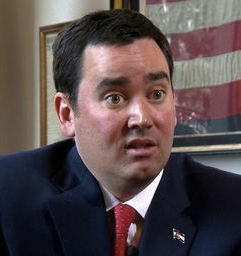 State Treasurer Walker Stapleton may or may not have any idea what he’s doing. He wants you to elect him Governor anyway. There’s lots of buzz this morning at the State Capitol, where the state legislature’s Capital Development Committee (CDC) has gathered in an attempt to understand why State Treasurer Walker Stapleton is forcing unnecessary construction delays for major projects across Colorado. Last Thursday, Democrats on the CDC called out Stapleton for apparently failing to do his job in issuing Certificates of Participation (COPs) for capital construction projects approved under SB17-267 — delays that are causing setbacks like those at the University of Northern Colorado. So folks, which is it? Is the delay justified or isn’t it? Is the TABOR lawsuit the reason for the delay issuing these certificates and bonds…or isn’t it? All of these questions begin and end inside Stapleton’s office. Stapleton is the only one who can explain what’s really going on, and in the last 24 hours the treasurer and his deputy treasurer have said two directly contradictory things that no one has even tried to clarify. The situation is almost, well, Trumpian. A principal bone of contention has been an ongoing lawsuit by the right-wing TABOR Foundation against the issuance of these funding certificates, claiming that they violate TABOR’s supposed requirement that any new revenues go before a vote of the people. The Colorado Supreme Court has repeatedly given lawmakers more flexibility under TABOR’s verbatim language than TABOR proponents would prefer–a big win for everyone who would like for the government of the state of Colorado to remain a functional concern. The problem in this case, as Silvy reports today and we explained in detail Friday, is Stapleton contradicted his own staff on whether this lawsuit was grounds to delay the funding. Perhaps the most instructive thing we can tell you about today’s hearing is this: Walker Stapleton isn’t even in the room. Stapleton sent Deputy Treasurer Ryan Parsell to explain things to lawmakers instead. Does this clown ever show up to work? "Elect me Governor!!! I won't be around. I'll hang out at Mar-A-Lago with my buddy Benedict Donald." He’s stoopid. Mongo won’t vote for stoopid. Democrats are smart. Mongo likes Democrats. Could we just state the obvious: when a woman, his predecessor, was in charge of that office it ran like a finely-tuned German car engine. Stapler Walkington: the Ford Pinto of treasurers.